"Hey, Coach? Say It, Don't Spray It." 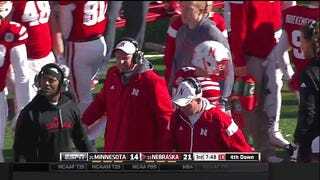 Good ol' cursin' Bo Pelini left a wad of saliva on this guy's face. He didn't seem too happy about it.